Martina Hofmanová has been working as a professor at the University of Bielefeld since October 2017. Previously, she was a Junior Professor at TU Berlin from February 2016 onwards, and before that an Assistant Lecturer, there. She studied at the Charles University in Prague, and got her PhD in 2013 at the École normale supérieure de Cachan in Rennes. Her time in Germany started in 2013 when she moved to the Max Planck Institute for Mathematics in the Sciences in Leipzig as a postdoc. Gudrun and Martina talk about randomness in the modeling of fluid motion. This topic is connected to the study of turbulent flow. Of course, we observe turbulence all around us, i.e. chaotic behaviour of the pressure and the velocity field in fluid flow. One example is the smoke pattern of a freshly extinguished candle. Its first part is laminar, then we observe transitional turbulent flow and fully turbulent one the further away the smoke travels. A second example is Rayleigh Bénard convection. Under the influence of a temperature gradient and gravity, one observes convection rolls when the temperature difference between bottom and top becomes large enough. If we look more closely, one can prescribe the motion as a mean flow plus random fluctuations. These fluctuations are difficult to measure but their statistical properties are reproduced more easily. A general procedure in physics and science is to replace expensive time averages by ensemble averages, which can be calculated together on a parallel computer. The concept why this often works is the so-called ergodic hypothesis. To justify this from the mathematical side, the main problem is to find the right measure in the ensemble average. In the model problem one can see that the solution is continuously dependent on the initial condition and the solution operator has a semigroup property. For random initial conditions, one can construct the solution operator correspondingly. Already with this toy problem one sees that the justification of using ensemble averages is connected to the well-posedness of the problem. In general, this is not apriori known. The focus of Martina's work is to find the existence of steady solutions for the compressible flow system, including stochastic forces with periodic boundary conditions (i.e. on the torus). At the moment, we know that there are global weak solutions but only local (in time) strong solutions. It turned out that the right setting to study the problem are so-called dissipative martingale solutions: Unfortunately, in this setting, the velocity is not smooth enough to be a stochastic process. But the energy inequality can be proved. The proof rests on introducing artificial dissipation in the mass conservation, and a small term with higher order regularity for the density. Then, the velocity is approximated through a Faedo-Galerkin approximation and a lot of independent limiting processes can be carried out successfully. The project is a collaboration with Dominic Breit and Eduard Feireisl. M. Hofmanová: Stochastic partial differential equations, Lecture notes, Technical University of Berlin, 2016. D. Breit, E. Feireisl, M. Hofmanová, B. Maslowski: Stationary solutions to the compressible Navier-Stokes system driven by stochastic forces, preprint, 2016. D. Breit, E. Feireisl, M. Hofmanová: Local strong solutions to the stochastic compressible Navier-Stokes system, preprint, 2016. D. Breit, E. Feireisl, M. Hofmanová: Compressible fluids driven by stochastic forcing: The relative energy inequality and applications, Comm. Math. Physics 350, 443-473, 2017. D. Breit, M. Hofmanová: Stochastic Navier-Stokes equations for compressible fluids, Indiana Univ. Math. J. 65 (4), 1183-1250, 2016. 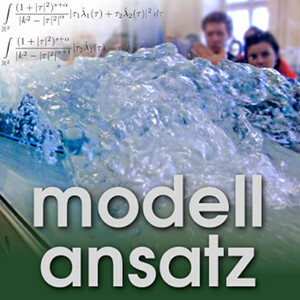 B.Valsler, D. Ansell: The Science of Turbulence, The Naked Scientists Podcast, 2010.